Holiday fun, ranch style. If you’re looking to escape the December craziness, crowded malls, and repetitive jingles, we can’t think of a better escape than to a guest ranch. Chose a peaceful mountain ranch wrapped in a mantel of snow, a warm California ranch getaway, or a sun-drenched Arizona guest ranch resort, then sit back and let the ranch staff take care of your meals, entertainment and decorating–you’ll be in good hands. Make it a holiday getaway, or a post-holiday respite. Either way, your winter ranch escape will be unforgettable. You’ve gotta love a ranch that’s located on a street called S. Doc Holliday Road (named for the famed Western gambler and gunman), and that’s just where you’ll find Stagecoach Trails Guest Ranch. Open year-round (except June- July 13), this Arizona ranch has a ten-year history and a loyal following. You can help them celebrate their big anniversary in January. The special Ten Year Anniversary rate for January amounts to a 60 percent discount (approx). Dates and rates: Between January 1-10, 2011. Rate: $99 single occupancy, $79 per person double occupancy, $69 per child ages 4-11. Valid on reservations made after November 23, 2010. No minimum night stay requirement. They’ll continue the deals with February and March specials adding up to a roughly 50 percent discount. Dates and rates: February 7-17 and March 2-6, 2011, rates are single occupancy $119 per night, double occupancy $89 per person/per night, Children ages 4-11 cost $69 per child/per night. No minimum night stay requirement. Valid on reservations made after November 24, 2010. 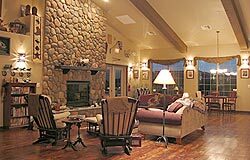 • Gourmet breakfast and dinner • Horseback riding • Fitness Center & Spa access and more. Part of what is special is that the ranch is owned by the Colorado State Land Board and managed under a one-of-a-kind lease by Duke and Janet Phillips and their family. The ranch offers education and recreation opportunities for both adults and children, and the Chico Basin Ranch is a working cattle ranch that derives its main income from grazing and running cattle. For guests, Chico Basin Ranch is open-year round, but to get the full experience, most guests visit spring thru fall. That’s when they can watch or participate in the most activities–from branding to cattle drives. And you can send time with ranch hands and families. You’ll stay in on of just two guest rooms that share a bathroom, sitting room, and full kitchen. Guests cook their own meals or chose to dine in their cabin on the ranch’s chef-prepared meals. Since it is dedicated to the enhancement and preservation of the natural world and of western heritage, as are many ranchers themselves. In philosophy and style, staying at Chico Basin Ranch is a little like being a rancher–without the worries. Dates and rates: book any 2011 week vacation before December 31,2010 and you’ll get a 10% discount off of the weekly rate. Hankering for a really white Christmas? You can’t miss with snowy Montana. Check out the wintery fun the holidays at Lone Mountain Ranch. From snowshoe treks to gourmet meals, and side trip to schuss down the alpine slopes at nearby Big Sky Resort, there’s a lot to choose from at Lone Mountain Ranch. Saturday, December 18, 2010 Full Moon Snowshoe with one of our guides. Explore the Ranch trails by moonlight! A festive snowshoe through the woods and up to the hill to overlook the cabins and the Ranch glowing in holiday lights. Includes snowshoes, hot cider and hot chocolate, cookies, trail pass and guide. Christmas at Lone Mountain Ranch Christmas week has always been special at the Ranch. What a magical place to spend the holidays with snow laden trees, festive holiday meals, and the Lodge and cabins dressed in their holiday finest. Christmas week is December 19-26, 2010. Each year we “surprise” guests with something new and special, whether it’s a Christmas Eve feast, complete with ice carvings and Santa or a Christmas torchlight ski. Turns out, Triple Creek Ranch is set a place that happens to offer terrific winter birding–the Bitterroot Valley. With the help of guides, guests can search for the 250 species known to visit the valley (just don’t get distracted by the spectacular mountain scenery). Watch a peregrine falcon swoop from the sky at 150 miles per hour as one of their local falconers shows off her prize bird. 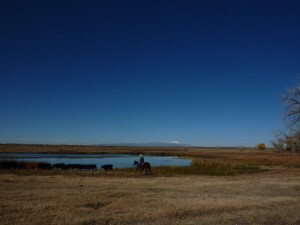 Visit Lee Metcalf Wildlife Refuge to see migratory ducks, geese and swans, then move on to the CB Ranch to watch eagles and hawks soar through Montana’s big sky. Also look for majestic bull elk, moose, mule deer, big horn sheep, antelope, an occasional shy wolf and the track of the silent mountain lion. Ask for the Ranchweb Special: Nature Lover’s Birding Weekend. Dates and rates: January 21, 2011 to January 22, 2011; February 25, 2011 to February 26, 2011. Beginning at $750 per night, per couple. Ski Package: Triple Creek offers a new “Ski the Northern Rockies” package, with downhill skiing at Lost Trail Powder Mountain Ski Resort (shown at right) and cross-country skiing at Chief Joseph Pass, through February 28, 2011. 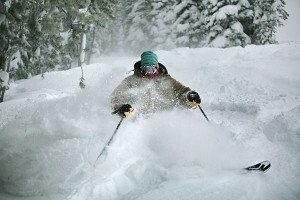 The 4-night* “Ski the Northern Rockies” package** includes downhill ski passes, snowboard and ski rental, and transportation to Lost Trail Powder Mountain; cross-country equipment use and transportation to the eight ski loops at Chief Joseph Pass on the Montana-Idaho border; accommodations in a luxury log cabin; all meals and house wines and spirits; complimentary bottle of wine upon arrival with freshly baked cookies and trail mix; to-go lunch and snacks for all winter excursions. On-ranch activities including horseback riding, hiking, and snowshoeing. Dates and rates: Now through the end of February, the four-night* “Ski the Northern Rockies” package is priced at $2,700 based on double occupancy (*Additional nights are available at a discount of 10% off nightly $750 rate;** Blackout Dates: December 23-25 and December 30-January 1). Set in the Gila National Forest, between the Gila and Aldo Leopold Wildernesses, the Geronimo Trail Guest Ranch is located in southwest New Mexico. Cozy cabins are nestled in the pines; they are large, with fireplaces, queen beds (and bunkbeds), coffee maker, full bath/shower, reading chairs, magazines and books, snacks, table/chairs, covered porches, and a cookie jar filled with homemade goodies. Cabins are comfortably furnished in a Native American style or a Cowboy motif. Dates and rates: Open March 1 – New Year’s (Closed for Christmas, but open December 27 – New Year’s). Groups of seven or more save 10 percent. Diane at the Running -R Guest Ranch tells us that the ranch has two specials going on. The first offering: Stay 3 nights get the 4th night free (excluding holidays). 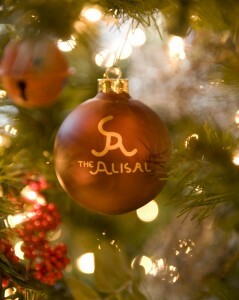 Dates and rates: January 2, 2011 through February 28, 2011 (NOTE: Must mention code 344 to get the discount.) And don’t miss out on the big Running –R Guest Ranch Cattle Drive, set for February 25 through February 27. On this special three-day event, you get the chance to taste life as a cowboy as you drive cattle across the Texas Hill Country State Natural Area. One thing’s for sure: you’ll get a lifetime of memories. But don’t delay or you will miss out on this unique experience. Dates and rates: The cattle drive will take place rain or shine Feb 25-27. Space on the cattle drive is limited and they expect this to sell out very quickly.The cost of the three-day event is $150.00 per night for adults, and $110/night for children from 10-16 (plus tax), which includes horse and tack, park entry fee, camping fees, meals, the assistance of park wrangler guides. Check out the Texas Hill Country site at http://www.tpwd.state.tx.us/spdest/findadest/parks/hill_country/. Email runningr@texas.net for more information. ‘We’ve also adventured onto TripAdvisor, which provides traveler reviews and opinions. We’d love to have yours on the Elkhorn Ranch listing! You can find our listing by copying and pasting this link into your browser: http://www.tripadvisor.com/Hotel_Review-g60950-d1900844-Reviews-Elkhorn_Ranch-Tucson_Arizona.html” Thanks to our pals at Elkhorn for the news.